We supply furniture for a wide range of functions including weddings, small family occasions, large corporate and public events. 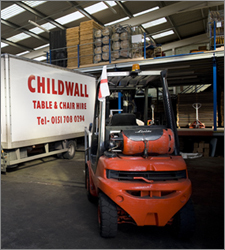 Established over 40 years, Childwall Table and Chair hire Ltd are a family owned company based in Jamaica Street, Liverpool. Widely regarded as the supplier of choice, we have grown to be one of the largest furniture hire suppliers in the North West covering Liverpool, Manchester, Wirral, Cheshire, North Wales, Lancashire and Cumbria. We supply furniture for a wide range of functions including weddings, small family occasions, large corporate and public events. 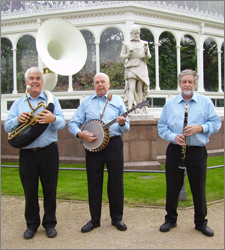 The Savoy Jazzmen Trio can provide background music during the arrival of your guests, at your drinks reception or as quiet background music during your dinner. We are an acoustic band so are able to move freely within the venue. Amplification can be supplied if necessary and the trio augmented if required. We play for weddings, corporate events, fetes, dances, concerts and marches. To book the Trio please call Peter Swensson on 0151 722 1478.